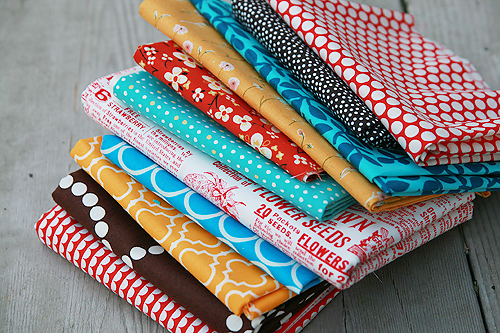 This year, I decided I need to make more of an effort to step outside the use of complete fabric collections in my projects. It's so easy for me to just make something with a set of fabric from a certain designer's line. 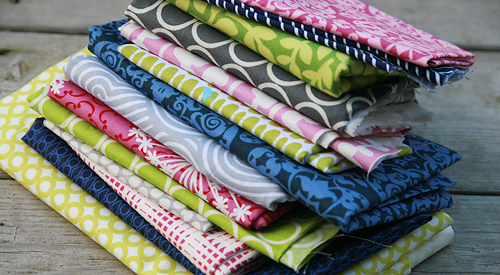 The fabrics generally look so great together, it's easy to envision the finished product and fall in love. But when I see a quilt on Flickr or someone's blog that I love, nine times out of ten, it is something made from fabric they hand selected from their stash. 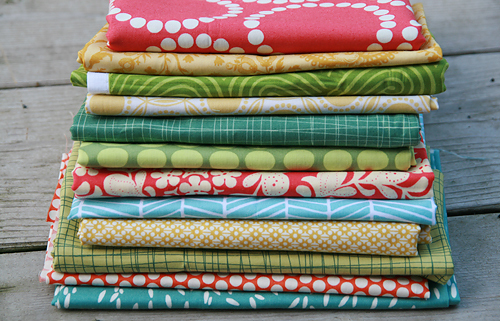 So, over the last couple weeks, I've been creating fabric piles. Some of these might become quilts, some might not become anything. If only I had 48 hours in a day. 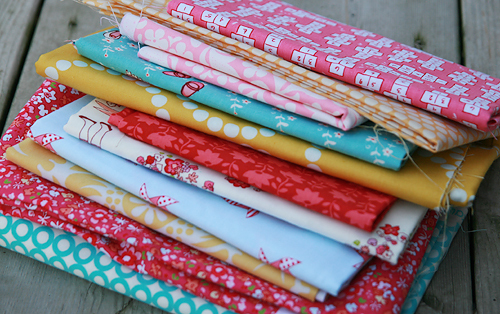 But I had a lot of fun pulling fabrics...weighing options...and getting creative. I hope to post more stacks as the year goes on, to inspire not only myself but hopefully you as well.